They f--- you up, your mum and dad. They may not mean to but they do. – Philip Larkin. When a book starts out like this, you know you are in for an interesting ride. Joy Berman is a fiesty 86 year old woman living in NYC. She has the pleasure of a rent controlled apartment, a job, friends and a dear husband Aaron who is very very ill. She cares for Aaron - with no help at all (because he is her husband and she can do this, what is wrong with you for asking??) As Aarons health declines and Joy’s energy is depleted, she is faced with her past, present and future all at once. The focus and energy that went into caring for Aaron for many years has quickly turned against her. Joy fights for her independence and then forgets what exactly she is fighting for - because she loves being with her children, her grandchildren and the comforts and routines of her own home, her things. 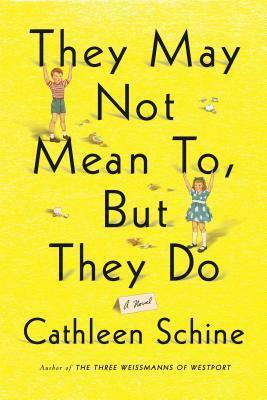 With a HUGE sense of humor and sharp wit, fabulous author Cathleen Schine takes us on a journey through Joy’s eyes and heart and those of her loving children. The epitome of what we may label as a dysfunctional family is none other than the absolute honest truth. 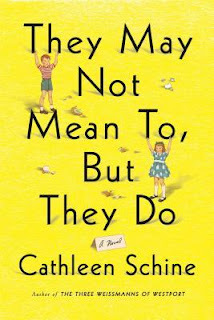 I cried a little and laughed a lot and more importantly for better or for worse, I can’t stop thinking about this book. I don’t know how you get into their heads Cathleen Schine but I now I cannot get them out of mine.